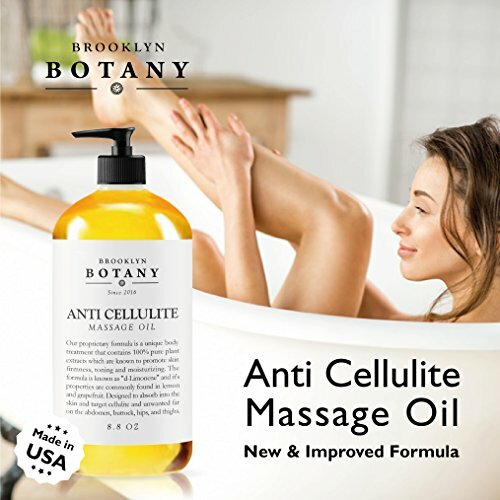 FIRMS, TONES, MOISTURIZES: Anti Celulite Oil helps break down fat cells in those vulnerable areas such as hips, thighs, buttocks and abdomen. Our proprietary formula is 5x more effective than cellulite cream by immediately absorbing into the skin immediately and attacking those unwanted fat tissues. ALL NATURAL INGREDIENTS such as Grape Seed Oil, Eucalyptus, Citrus Lemon and Grapefruit are seamlessly blended to tackle unwanted fat tissues. Each component used in our cellulite oil play a key role to help the firming and tightening process. NATURAL FRESH SCENT: Enjoy the invigorating citrus scent as you massage it into your body. The natural blend nourishes & moisturizes the skin surface for a more radiant and healthy looking glow. 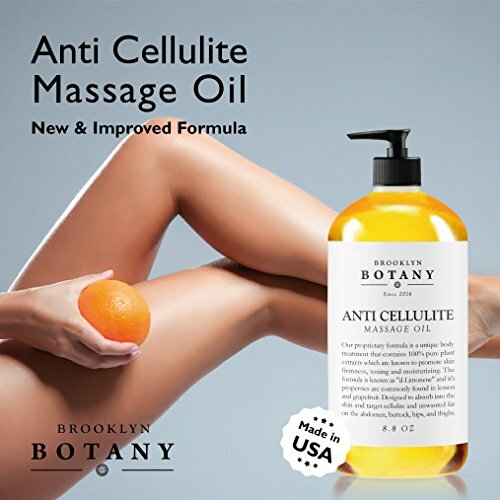 MADE IN THE USA: our natural cellulite remover oil is made using the Highest Quality Ingredients. This product is produced in our FDA Approved cGMP Facility does not contain alcohol, parabens or sulfates and is Cruelty Free.